The excitement in the Potomac Ballroom of the Gaylord National Resort and Convention Center was palpable. Candidates and voters alike were in attendance at the 2015 Conservative Political Action Conference held this past week in Maryland, in high anticipation of what the 2016 election will bring. Speaker after speaker presented in front of eager and, for the most part, receptive audience. While some speakers could be considered outliers among the group, such as Duck Dynasty’s Phil Robertson who spent most of his time quoting from the Bible and appealing to the more radically conservative members in the audience, most presented a clear agenda that included their ambitions for the next election cycle. 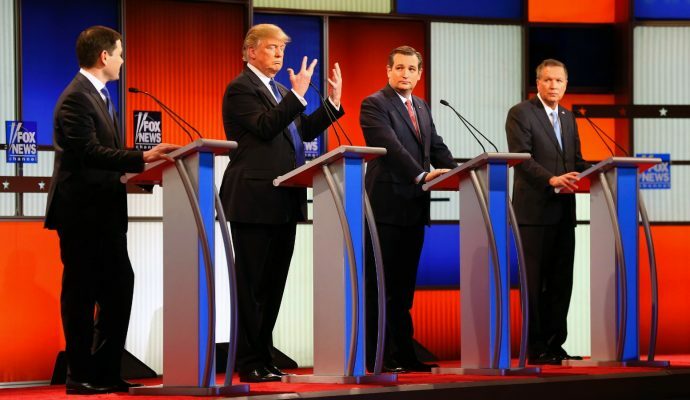 The 2016 presidential hopefuls appealed to attendees’ patriotism and frustration with the current administration, a likely foreshadow of the campaign trail in just under a year’s time. 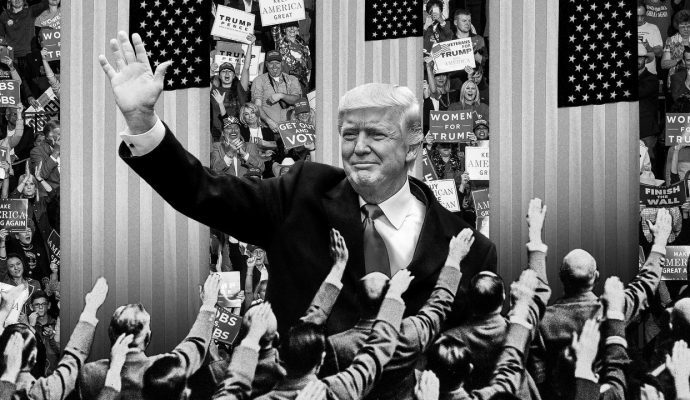 There were a few trends among the topics of the speeches: the appeal to younger voters, promises to eradicate ISIS and harsh criticism of prospective Democratic presidential candidate, Hillary Clinton. A promising sight at CPAC was the high percentage of youthful faces in attendance. A number of politicians were aware of this strong presence, and did whatever they could to take advantage and garner support with selfies and meet-and-greet sessions. It was clear that most of the youth were open to compromise if it meant that the party could elect a strong, capable and non-career politician as a candidate to the oval office. Scott Walker is aware of this hope. In the introduction of his father, the Wisconsin Governor’s son asserted that Republicans need “a nominee who’s a new, fresh face who comes from outside of Washington, with big bold ideas, and most importantly, has the courage and experience to show they can actually put those ideas into action.” Walker’s popularity at the conference was a result of this attitude. Likewise, Kentucky Senator Rand Paul is aware of the advantage that comes with gaining the support of the conservative youth, gaining favorability with the Young Americans for Liberty group. The tax cuts and limited government that the senator proposes can appeal to a generation which realizes that the level of debt piling up will be their responsibility. One thing made certain by a number of presidential aspirants during their approximate twenty minutes on stage: they were ready to take on the likely candidate that would oppose them in 2016, namely, former Secretary of State Hillary Clinton. In particular, CPAC newcomer and former Hewlett-Packard CEO Carly Fiorina was the most vocal of this ambition. Not wasting any time, Fiorina confidently demanded: “Mrs. Clinton, name an accomplishment. And in the meantime, please explain why we should accept that the millions and millions of dollars that have flowed into the Clinton Global Initiative from foreign governments do not represent a conflict of interest,” to which the audience responded with a standing ovation. While it’s unlikely that she will prove to be a viable presidential candidate in 2016, her powerful presence resonated with the audience, placing her on the short list for vice presidential candidates. Perhaps the one lasting legacy of the three-day conference is winning the CPAC straw poll. This year, as well as in the past two years, Senator Rand Paul came out as the victor, winning a plurality of 25.7%. This is not shocking considering the fact that one could not walk from one end of the room to the other without seeing at least ten supporters donning t-shirts, signs and buttons to match, proclaiming that they “Stand with Rand.” Appearing onstage in a casual dress shirt and jeans, it was clear that the senator was trying to distance himself from the usual stereotyped politician who might not be able to relate to the audience. Following closely behind Paul was Governor Scott Walker, with a percentage of 21.4%. Senator Ted Cruz and Dr. Ben Carson, both heavily represented favorites of the conference followed in third and fourth place, respectively. The most surprising placement of the straw poll was Jeb Bush’s fifth place spot. The former Florida governor’s interview with Fox News’ Sean Hannity was eloquent with even a touch of humor, but it could not rectify the fact that many conservatives are unhappy and unwilling to support him given his positions on immigration and the Common Core education standards. Attempting to garner a compromise from the audience, Bush said on Friday: “The simple fact is there is no plan to deport 11 million people. We should give them a path to legal status where they work, where they don’t receive government benefits…where they make a contribution to our society.” While the reception of his appearance was much more promising than the heavy booing that occurred in the Ballroom whenever his name was mentioned in his absence, it obviously did not do much to sway the results of the straw poll. What this means more than anything is that the former governor has much work to do in gaining support from the conservative vote that will be so necessary during the upcoming primary election. 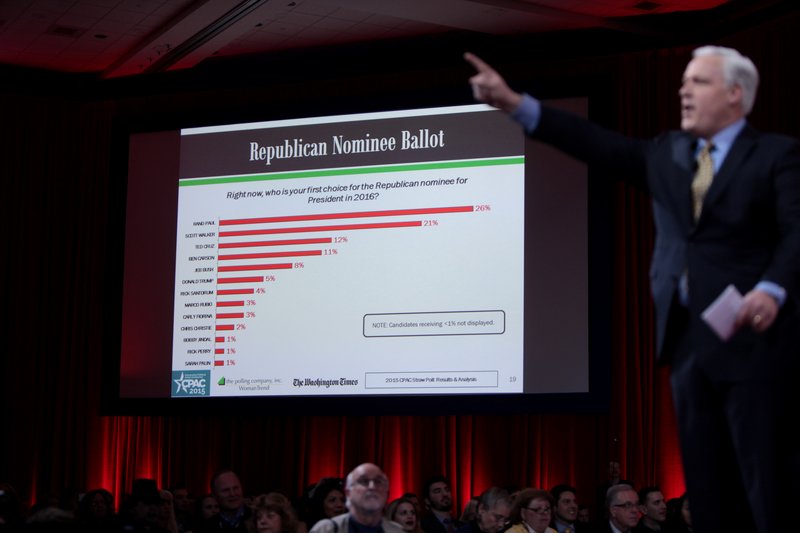 Ultimately, the 2015 Conservative Political Action Conference leaves the Republican Party with a large number of viable presidential candidates, each one just as energized and ambitious as the next. The straw poll illustrates where each candidate currently stands in the minds of many conservatives, but, as evident in every election in our nation’s history, the rough and tumble of a presidential campaign often has effects, both positive and negative, on the support of a candidate. The one thing that can be taken from the conference is the definite readiness of the Republican Party, both candidates and constituents, for the coming election in 2016. Are the Politics of Today Having a Deterrent Effect? 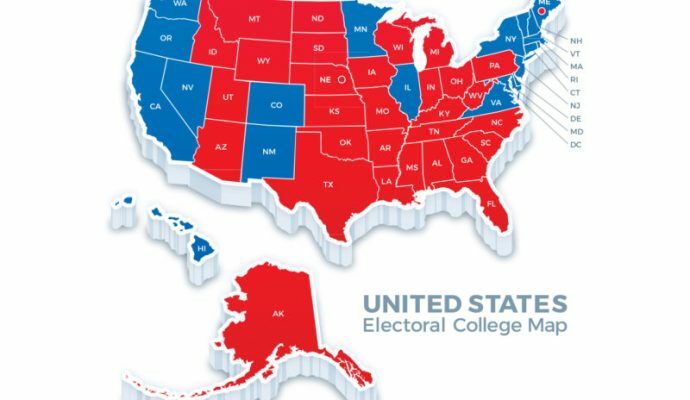 The Electoral College: Extinction or Evolution? outdoor clocks for hospitals on What Happened to Argentina?